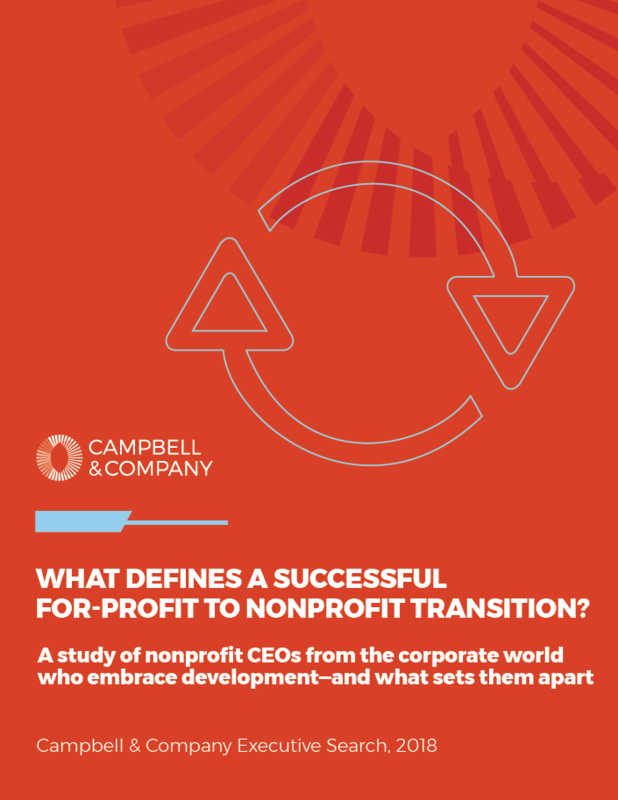 Given that the CDO role does not exist in a corporate context and fundraising is an important responsibility for nonprofit CEOs, we sought to learn how these relationships evolve over time. We also wanted to uncover recommendations for CEOs and CDOs faced with this increasingly common situation. Based on these in-depth discussions, we developed four case studies and identified a series of common themes. We also synthesized their responses and developed two sets of recommendations—one for CEOs, one for CDOs—to help professionals in similar situations optimize the CEO-CDO relationship. Marian DeBerry is Senior Counsel, Executive Search at Campbell & Company. Marian has more than 30 years of professional experience, including 14 years in executive search.